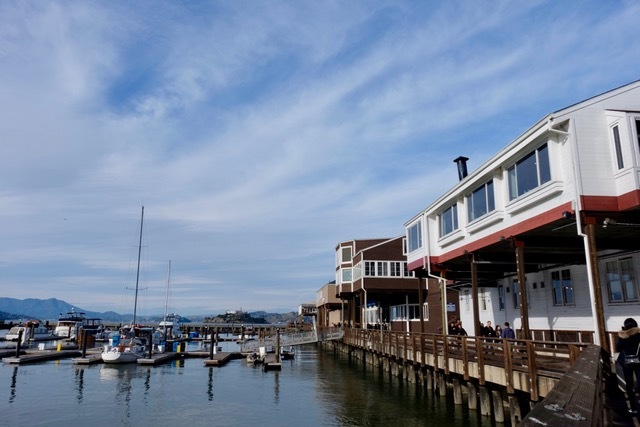 On the other hand, the area around the extremely touristy Fisherman's Wharf was much more mainstream – maybe a little too mainstream. 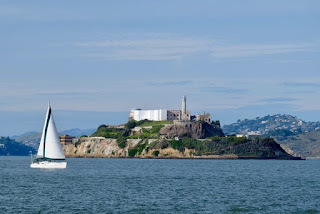 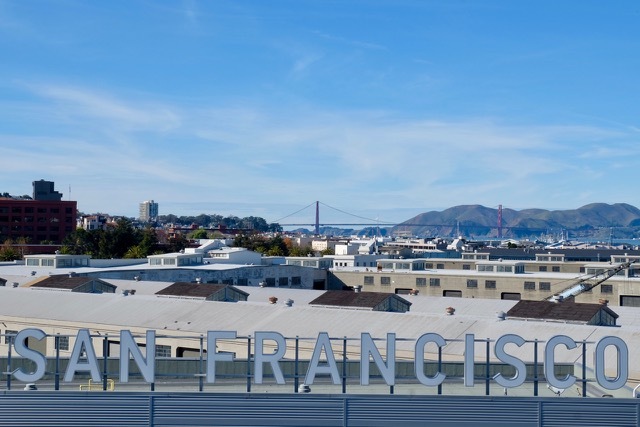 This concentration of restaurants and souvenir shops was a little over-developed, but it couldn't take away from the magnificent bay views behind, of the forbidding Alcatraz Island and the iconic Golden Gate Bridge. 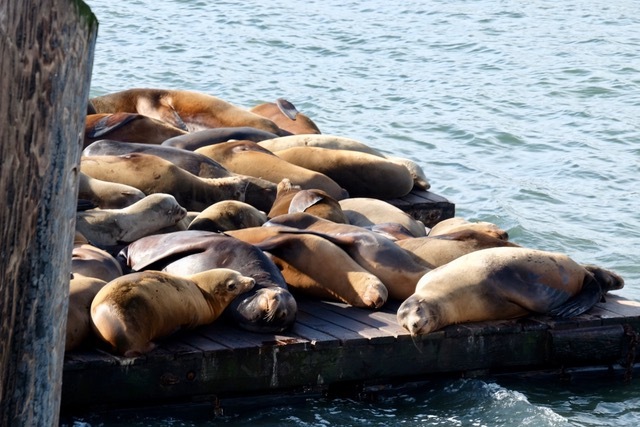 Of course, the star of the show here on Fisherman's Wharf is always its collection of barking sea lions rudely jostling for sunbathing space on the floating piers – you could watch them all day (as long as you can put up with their fishy aromas). 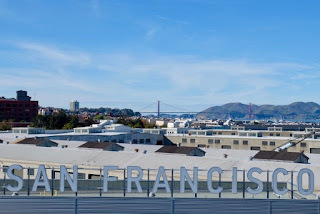 Unfortunately, we didn't have time to see much else in San Francisco, but it gave an interesting insight into some of the issues facing modern America.